The simplicity of these card holders is ideal to give visibility to your design. 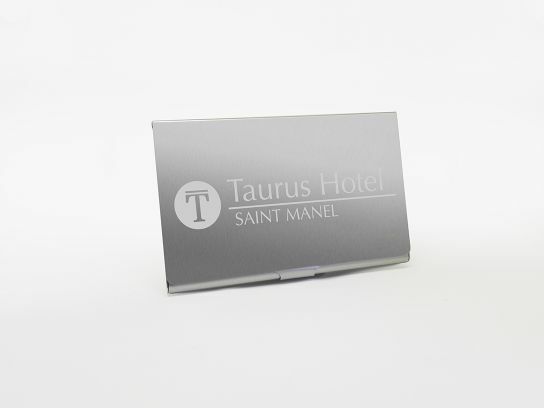 This aluminium model offers a large space for engraving your logo with laser printing and its interior boasts great organisation of the space, perfect for all kinds of small documents and cards. An ideal item to deliver to a new customer or to distribute as a promotional gift at fairs, events, or other points of sale.